On the 11th (Thu), look for gifts at Bergamot Station, then take a leisurely stroll along Santa Monica Pier, then admire the majestic nature at Santa Monica State Beach, and finally take a stroll through Montana Avenue. 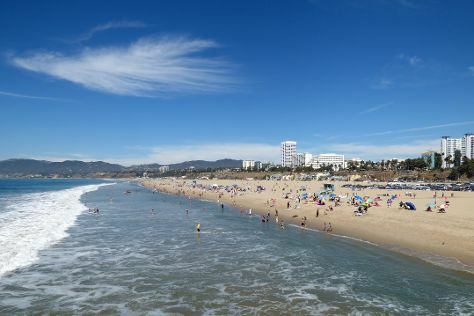 To find other places to visit, ratings, and tourist information, read Santa Monica itinerary planner . Vitoria, Brazil to Santa Monica is an approximately 19.5-hour flight. Traveling from Vitoria to Santa Monica, you'll gain 5 hours due to the time zone difference. Expect a daytime high around 28°C in July, and nighttime lows around 21°C. Wrap up your sightseeing on the 11th (Thu) early enough to drive to San Diego. 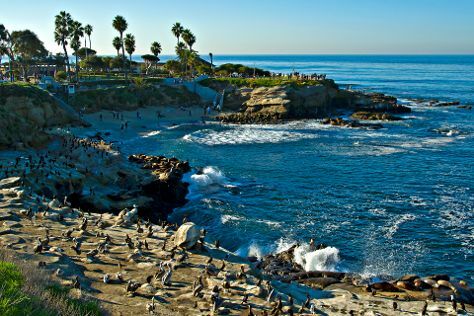 Start off your visit on the 12th (Fri): see the interesting displays at USS Midway Museum and then kick back and relax at La Jolla Cove. Plan my San Diego trip by asking Inpirock to come up with tips and suggestions. You can drive from Santa Monica to San Diego in 2.5 hours. Other options are to do a combination of tram and train; or do a combination of bus and flight. In July, daytime highs in San Diego are 29°C, while nighttime lows are 23°C. Wrap up your sightseeing on the 12th (Fri) early enough to travel to Yosemite National Park. 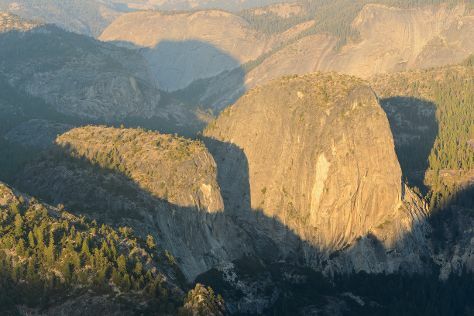 On the 13th (Sat), explore the striking landscape at Glacier Point, take in the dramatic natural features at Sentinel Dome, then take in the dramatic scenery at Vernal Fall, and finally explore the world behind art at Yosemite Museum Gallery. On the 14th (Sun), you'll have a packed day of sightseeing: hike along Panorama Trail and then stroll through Tuolumne Meadows. For ratings, other places to visit, and other tourist information, read Yosemite National Park trip itinerary planner . Getting from San Diego to Yosemite National Park by combination of flight, bus, and taxi takes about 8 hours. Other options: drive; or do a combination of flight and bus. When traveling from San Diego in July, plan for a bit warmer days and much colder nights in Yosemite National Park: temperatures range from 33°C by day to 9°C at night. Cap off your sightseeing on the 14th (Sun) early enough to go by car to San Francisco. Exploratorium and SS Jeremiah O'Brien will appeal to museum buffs. Do some cultural sightseeing at Union Square and Alcatraz Island. The adventure continues: take a leisurely stroll along Fisherman's Wharf, wander the streets of SoMa, steep yourself in history at City Lights Booksellers, and take in the awesome beauty at Twin Peaks. To find maps, other places to visit, photos, and other tourist information, go to the San Francisco trip website . Traveling by car from Yosemite National Park to San Francisco takes 4 hours. Alternatively, you can do a combination of car and flight; or do a combination of taxi, bus, flight, and subway. Traveling from Yosemite National Park in July, you will find days in San Francisco are slightly colder (26°C), and nights are a bit warmer (16°C). Cap off your sightseeing on the 17th (Wed) early enough to travel back home.